Welcome to the first edition of our newsletter! Since day one, we have made it our priority to improve transparency in state government and let Marylanders know the many ways we are working for you to change Maryland for the better. It is my hope that this newsletter will allow you to get to know me a little bit better, and stay informed about our latest initiatives and the many places we are traveling around the state. Read on below for some of the latest information from our administration, and stay tuned to future newsletters for a firsthand look at the progress we are making in Maryland for all our citizens. From September 19th to September 26th, Governor Hogan led a delegation of state officials, business executives, higher education officials, and Jewish community leaders on an economic development trade mission to Israel. During the trade mission, the governor met with numerous companies and elected officials in an effort to strengthen business ties and promote Maryland as a gateway for Israeli companies seeking to establish U.S. operations. 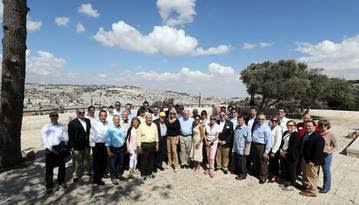 Governor Hogan and the delegation also had the opportunity to participate in many cultural activities, such as visiting the Yad Vashem Holocaust Memorial and historical biblical sites, giving the delegation a deeper understanding of Israel’s rich history and culture. To see photos and learn more about the trip, read our press releases and view photos on Facebook. 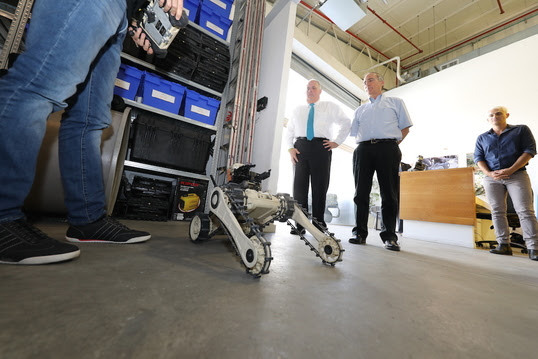 Governor Hogan visiting Roboteam’s global headquarters in Tel Aviv. Roboteam’s US headquarters is located in Gaithersburg. 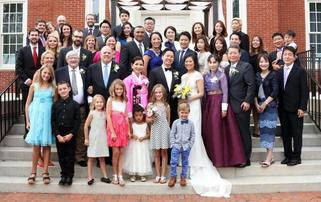 Click here to see more photos from the wedding. 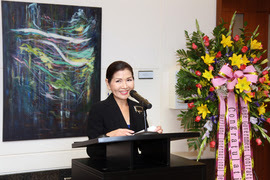 First Lady Yumi Hogan, a celebrated artist and professor at the Maryland Institute College of Art in Baltimore, had her art on display at Anne Arundel Community College. The exhibit, “Common Roots”, featured work by the First Lady, Jean Kim, ShunheeKimJung, and Robert Yi. Dot Foods, the first and largest food industry redistributor in the nation, is expanding its operations in Washington County and plans to add 100 new jobs by 2023. The company is scheduled to begin a two-phase project in spring 2017 and anticipates completing the expansion in 2019. Dot Foods currently employs 400 workers in the county. 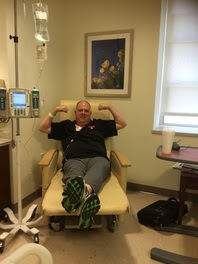 The majority of the 100 new jobs will be high-wage warehouse positions for Dot Foods and Class A drivers for Dot’s trucking subsidiary, Dot Transportation, Inc.
October is both Breast Cancer Awareness and Domestic Violence Awareness Month in Maryland. Breast cancer and domestic violence are both serious problems that affect far too many people across Maryland and our nation. It is crucial that we raise awareness and educate the people of Maryland on the steps they can take and the resources we have available to help combat both of these issues. As part of Breast Cancer Awareness Month, Maryland health officials are recommending that women be screened regularly for breast cancer. Maryland remains committed to preventing and putting an end to domestic violence. If you or someone you know needs help, a listing of programs can be found at the Maryland Network Against Domestic Violence website. 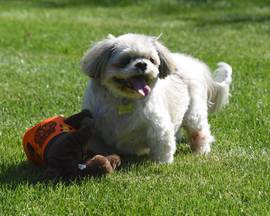 The First Dog, Lexi, turned 112 (in dog years) in July!